Summer vacation is over and we are supposed to be back to our regular schedules at our child care centers. But sometimes it’s hard to get back into the swing of things. Children thrive on consistency and sleep. They have a much easier time playing and learning at child care centers when they have had enough sleep and they know what to expect. So here are some ideas to help you and your child get back in the saddle and giddy up! 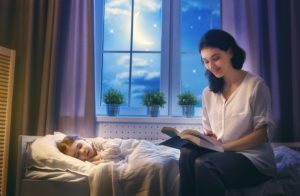 Bedtime Routines help a child know that it’s time to settle down for the night. For more ideas, visit http://www.parents.com/baby/sleep/schedule/develop-bedtime-routines/. Morning Routines help a child get going in the morning and begin teaching them how to take care of themselves. These routines can also calm and comfort a child when they are facing something new that day. For more specifics on these ideas, go to http://childcare.about.com/od/behaviors/tp/gettingkidsup.htm. These tips are tried and true and can help kids (and parents) have less stress and more peace. If you are looking for a way to encourage kids to help with this process, there are tons of free printable sticker charts out there. 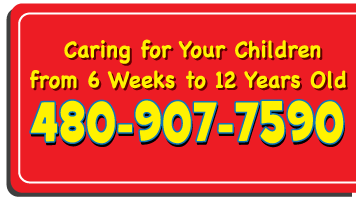 Help your child get back on track and their days will go better, especially at their child care center. © 2019 A Child's Place at the Ranches. All Rights Reserved.